Sold the Skimmer at the Litchfield Silent Flyers auction to make room in the basement for new projects. Twisted 1/4" of washout in each tip with the heat gun and some hand pressure. Flew at lunch - it's a new bird. Only had one tip stall all day and that one was fairly gentle and my own dumb fault. Other than that it flew nicely. Well worth the $20 now! Went out and flew today - seems to tip stall and go into death spirals too easy. I may need help from some of the experts in my club on setting the CG. I flew several flights, eventually I spiraled it right into a phone pole. Luckilly I hit dead on the nose so only broke the spinner and cracked the nose. Repaired the damage already. I guess I know why this is on sale for $19 now. Finished - waiting for a break in the weather to take her for a spin. 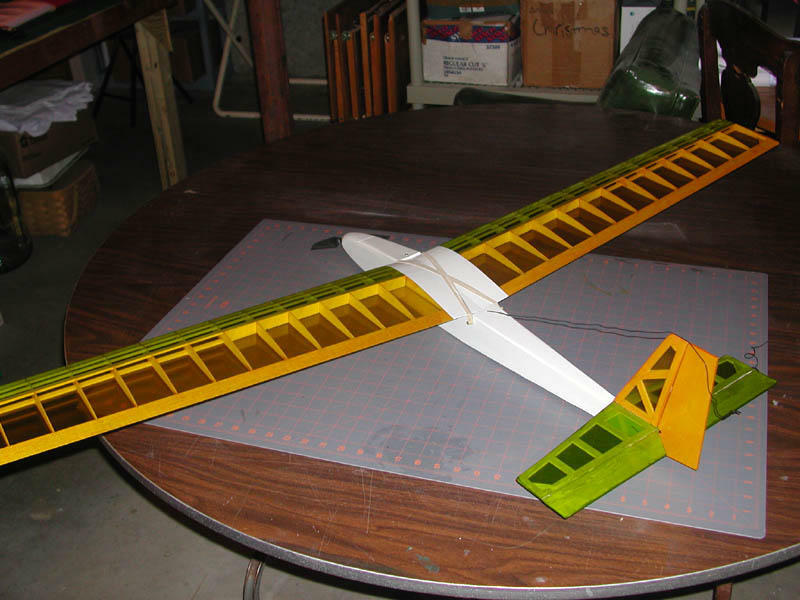 We're having a club ridge-soaring day this month so I've started building ai Hobby-Lobby Skimmer 400. It's a speed 400 1-meter sailplane. 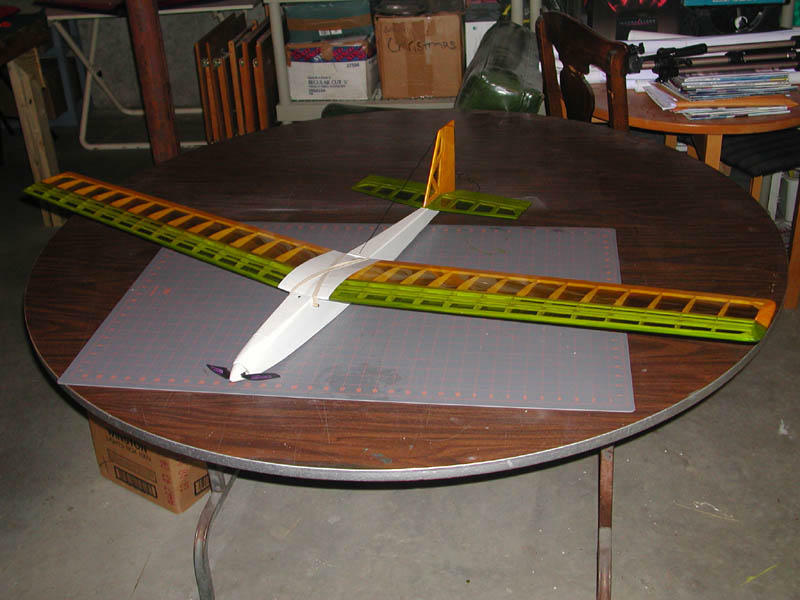 Since I only have my Dymond Flipper and Super Soarwatt I wanted to have a smaller sailplane. The skimmer kit was on sale for $19.99 so I couldn't resist. Pic above is from their site. I'll put my own pics up when I take some. So far fuselage is framed up and I'm working on the wing.